Messi ends 2018 with a bang, Solari makes an offering to the Bernabeu trophy room, and Mourinho's former charges make a statement. 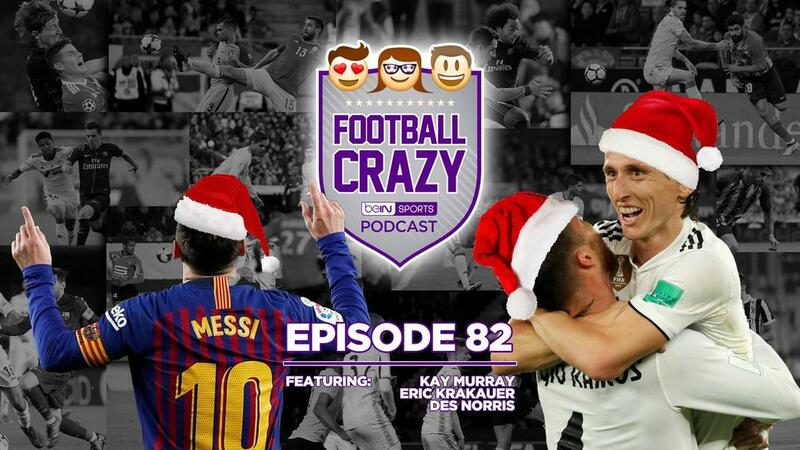 On this week's Football Crazy, the La Liga calendar year ends with Barcelona top, Real Madrid as world champions, and Lucas Hernandez looking for the exit door at Atleti. Elsewhere, in France, Monaco slumps to a new low, Adrien Rabiot says au revoir, and Kylian Mbappe pinches himself to make sure 2018 wasn't just a dream. Plus, Atlanta goes Dutch, Ole Gunnar Solskjaer revives Man United, Cristiano Ronaldo has become Karim Benzema, and ape antics keep things entertaining in the Turkish Super Lig. In personal news, we would like to congratulate Football Crazy founding member Kev Egan and his wife Megan on the birth of their beautiful son (and the pod's newest lifelong listener), James Andrew.